Then follows Delicious Dalandan Duck, so decadent, so sinfully delicious! And the way Chef Boy presented it, ignites passion perfect for the season of romance and love. 1. Season duck breast with salt and crushed black peppercorn. 2. Pan sear first the skin until brown. Flambé with brandy. Reduce flame until done. 3. Boil dalandan juice and chicken stock, season with salt and add grenadine and chicken with dissolved cornstarch. 4. 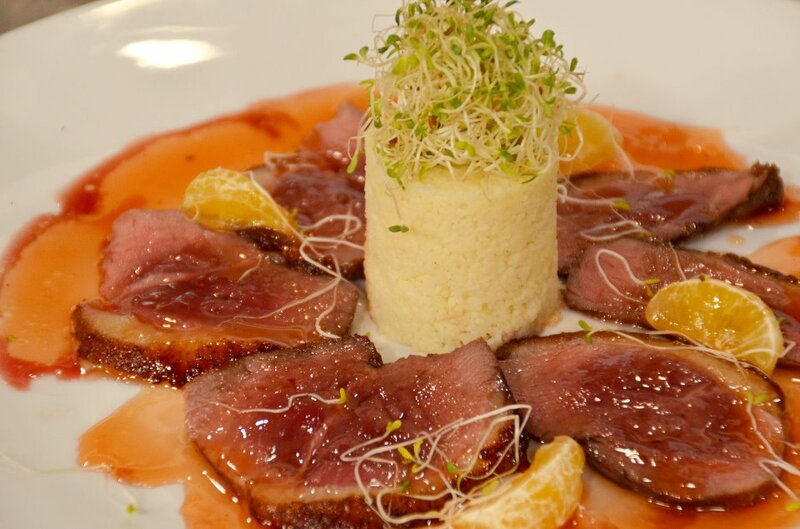 Cut duck breast into portion slices, arrange on plate and spoon over the top with dalandan sauce. Sprinkle with dalandan zest.